Какой транспорт выбрать для поездки с ребёнком? 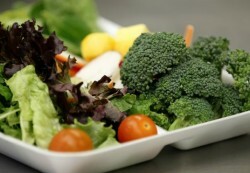 The US Department of Agriculture’s (USDA) updated school lunch guidelines have increased fruit and vegetable consumption among low-income students, Medical News Today reported. In 2012, the USDA recommended schools improve the nutritional quality of their lunches, including adding more whole grains, offering fruits and vegetables and only fat-free or low-fat milk, reducing saturated fat, trans fat and sodium and monitoring portion sizes for calorie control. One or two family meals a week may help kids eat more fruits and vegetables, a new study suggests. In the U.K. study, children whose families always ate meals together consumed 4.4 ounces (1.5 portions) more fruits and vegetables a day compared with children whose families never ate together. 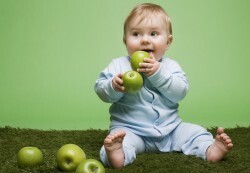 And kids who had family meals just once or twice a week consumed 3.4 ounces (1.2 portions) more produce a day. Все права защищены. Любое использование материалов допускается только при наличии прямой активной гиперссылки на NaChild.com.